We're on Steam Greenlight! If you’re a Steam user, we need your vote! 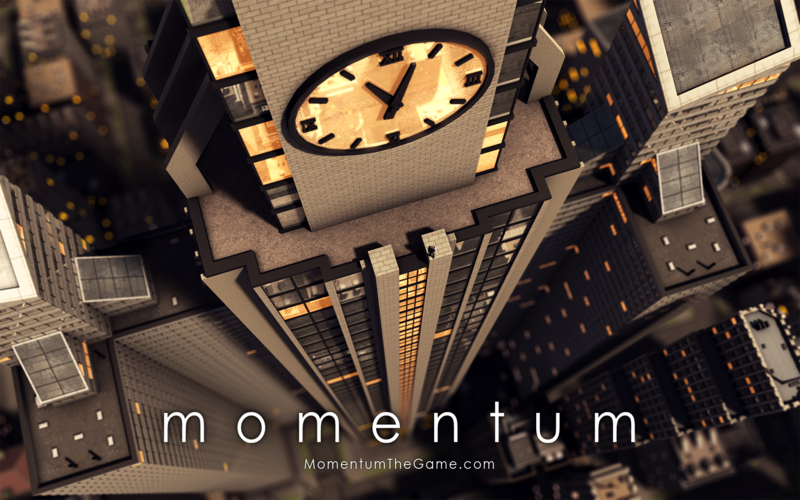 Momentum is a physics-based platformer that allows you to manipulate labyrinths in 3D space. Race the clock to get your sphere to its destination in the shortest possible amount of time. The trick is to use gravity and momentum to your your advantage . . . but watch out: You can easily lose control and drop your sphere into oblivion. Momentum is your moment of Zen suspended high above the ground. Can you beat the clock and keep the sphere in one piece? 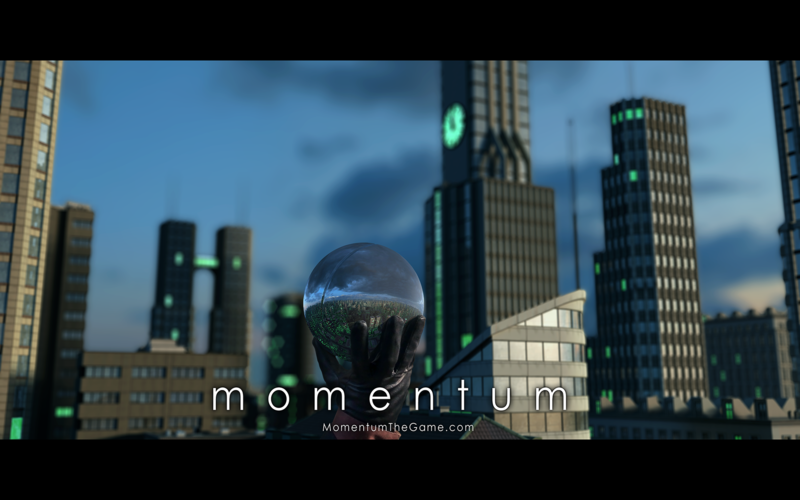 Momentum will ship with 100 levels across three different worlds and includes multiple unlockable spheres. We have a demo available for you to play right now. There's a list of mirrors on our website, here. Manipulate labyrinths: Master gravity to guide your sphere to its destination. Balance speed with caution: Race against the clock, but beware: The road ahead is treacherous. Achieve a state of Zen: Let the music be your guide. Master the game, and master yourself. 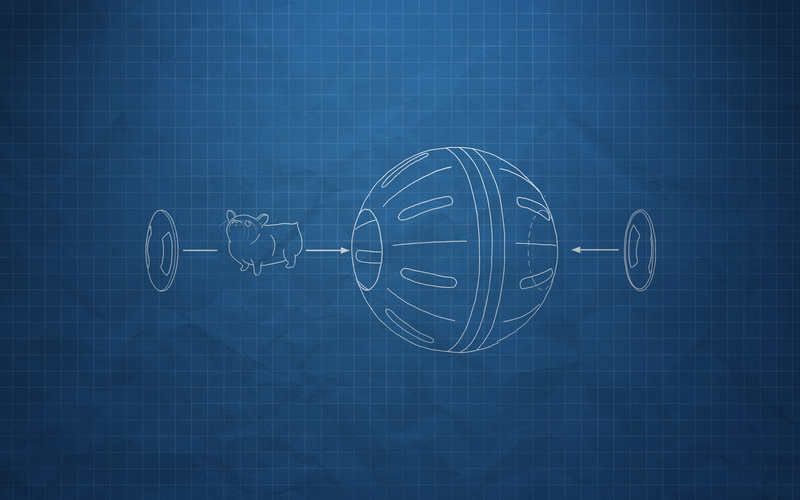 Unlock unique skins: Customize your sphere with a variety of skins -- including an awesome hamster ball. Play your own way: Quick and dirty or carefully confident; it doesn’t matter as long as the sphere survives the journey. Use wit and skill to find the quickest paths while avoiding certain death. And, of course, the demo. It all started a few years ago. Kelly was camping with his family when when he came upon the idea for Momentum. He was passing time, playing with a toy that an aunt had brought along, then the lightbulb went on. A few months later, Kelly began taking the capstone class for the University of Utah’s EAE program; The same class that resulted in Magnetic by Nature, by the way. Each student pitched an idea. Kelly pitched Momentum, and it survived the first round of elimination. The idea didn’t make it past the prototype stage, but the concept stuck. 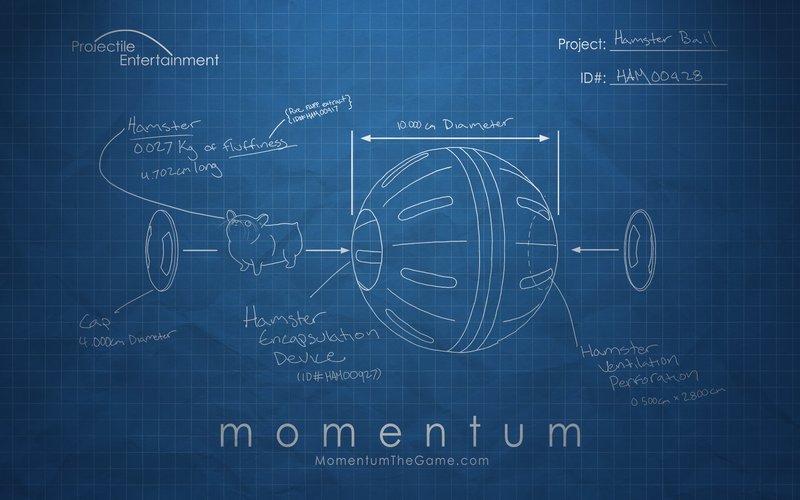 A few months later, Kelly recruited Isaac, and together they started the development of Momentum from scratch. Written, recorded, and mixed entirely by Isaac, the soundtrack perfectly matches the spacious feel and relaxing atmosphere of Momentum. Anyone backing the Audible tier will receive a high-quality digital copy of Momentum’s soundtrack, Improbably Fatal. Donate a little more, and you’ll get the Kickstarter exclusive Special Edition instead, which includes bonus tracks that you won’t be able to get anywhere else. All levels in Momentum start with the track set. For each world in the game, we’ve made a set of track pieces in Maya that all fit together to make each level. We then export those pieces over to Unity and stick them together like legos to make the final level. There are a few things to consider when making a level: How hard is the level? Are there any shortcuts? Having shortcuts in a level isn’t a bad thing at all. However, if it’s significantly easier to take a shortcut than it is to play through a level, then something is broken. Either the par times need to take the shortcut into consideration, or we need to remove the shortcut. The final stage is to give the level a spiffy name and then test it out to determine the par times. The fastest runs we can possibly get are what end up being the gold medal times. It takes far longer to find the gold times than it does to make the actual level. The process of making a ball is far more varied, depending on what the specific ball in question requires. Generally, it follows the steps of ideation, experimentation, creation, and polish. Consider the “Atlantean Cage” ball. The idea came up while working on the city background for World 1 -- specifically, the animated ocean material. 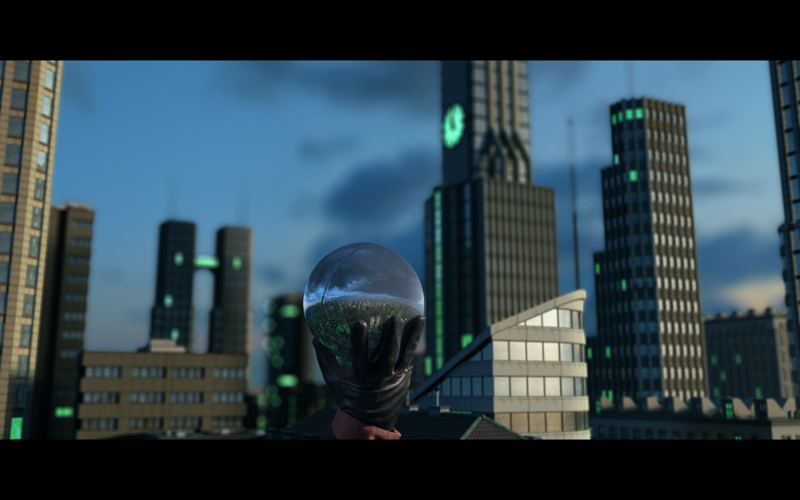 The preview looked shiny and cool when it was animated, so we decided to try to make a ball out of it. Most balls have some unique feature. For the Clock ball, it’s the clocks, which are accurate to system time. The Euler ball was the first to be animated. The Light ball was the first to have a light attached. And the Boiler ball was the first to have a unique death animation. For the Atlantean Cage, the particle emission on bounce functionality is (for now) unique. The experimentation and creation phases happened simultaneously, which is always nice. We find that on-the-go experimentation, revision, and iteration work really well with our development process. We already had the proof of concept in the form of the existing ocean shader, and some previous work we did on an OnBounce() event call. The only experimentation was left to the model itself. There were a number of things we tried with the model, like having some sort of indentation or cutout on the top and bottom -- but that didn’t quite work. Other experiments fared better and were incorporated into the final model. 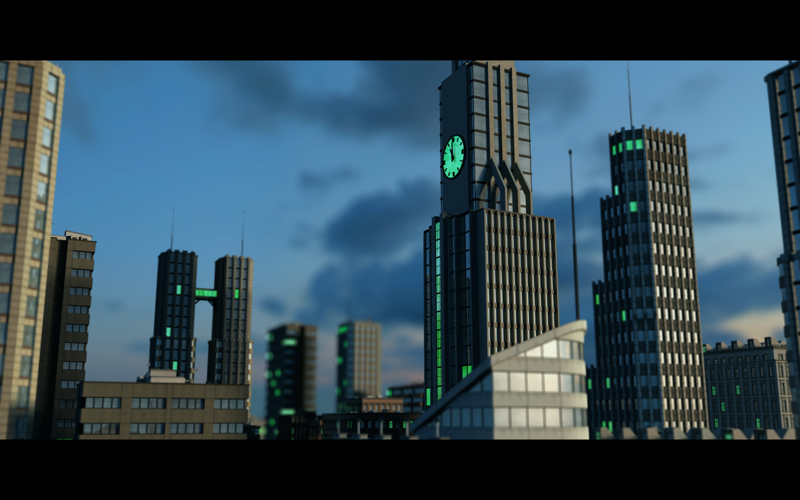 For more detail on our development process, feel free to visit our devlog. The cost of doing business is a constant whether the team is large or small. Basic expenses such as software licenses, hardware, and certification costs can be steep for a small indie studio like ours. That’s where you come in. With your help, we can get Momentum off the ground and out the door on time and on budget. Furthermore, Kickstarter can be a great way to get the word out. There are millions of active Kickstarter users worldwide backing all sorts of projects, including games. We figured that there was a good chance Kickstarter users would be as passionate as we are about Momentum. We’re asking for $11,500. Relatively speaking, that’s not much, particularly for Kickstarter. We already have our own living expenses taken care of, and we don’t need to hire anyone else. Most of what we need is for marketing and licensing. Right now, we’re working off of student licenses. In order to publish, though, we’ll need full commercial licenses. Together, the two of us are Projectile Entertainment. We’re students looking to start our careers out strong. We want to make great games, simply because we enjoy playing them. Currently a student in the Entertainment Arts & Engineering program at the University of Utah, Kelly is a 3D artist with a passion for quality and detail. He originally got into game development through mapping and modding for games such as StarCraft, Warcraft III, and Unreal Tournament 2004. Isaac is an audio engineer with a desire to make games amazing. He is currently studying Audio Production in the Digital Media program at Utah Valley University, but he also has experience in mathematics, music, and physics. As it stands, there’s little outside influence on whether or not we finish Momentum; It’s all on us, so it’s mostly a matter of perseverance. That said, this marks the start of our careers in game development, and as such, we simply cannot afford to not complete this game. We’re actually pretty close to the finishing line. If you have played the demo, you’ll probably agree with us! :) After completion, we’ll face an entirely different set of challenges. True financial success will depend on our ability to drum up enough support to ultimately turn a profit. Nonetheless, merely breaking even will be a success for us. Getting on Steam would be awesome as well. As for environmental risks like floods, hard drive failures, etc. -- we keep online backups to mitigate them. Be immortalized as a backer in the credits. Even the smallest donation helps. You’ll have our sincere appreciation. Digital download (PC/Mac/Linux), plus credit. High-quality digital copy of the soundtrack, plus all previous rewards. High-quality digital copy of the collector's edition soundtrack (which includes bonus material not heard in the game), plus all previous rewards. Your name in the magic 8 ball, plus all previous rewards. Exclusive physical Momentum level as a very special “thank you” gift, plus all available previous rewards. We’ll personally fly to your home town and hang out with you for a whole day, plus all available previous rewards.